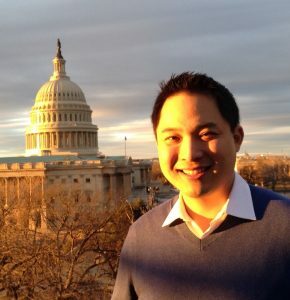 AACI is excited to announce that Edwin Tan has joined AACI as our Director of Advocacy. Edwin has a breadth of experience and is highly accomplished with numerous publications and demonstrated ability to advocate for causes on behalf of immigrant and low income communities. Edwin has served in many roles related to the behavioral health field and the Asian community, and he has been closely associated with AACI for the last few years as a mentor for our LEAD program. Edwin most recently comes to us from the Office of Congressman Mike Honda as the Senior Chief Advisor. Edwin is a member of the American Psychological Association and holds a Ph.D. in Psychology and Social Behavior and a M.A. in Social Ecology from the University of California, Irvine, as well as a Bachelor of Arts in Psychology from the University of California, Riverside. With his relevant background, Edwin will lead the development of the long-term advocacy strategy for AACI and ensure we are well positioned to even better serve our clients. He will report to AACI’s CEO. AACI is excited to have Edwin Tan as our Director of Advocacy!